Hiii. I'm hoping to buy some cool Patagonia baggies preferrabbly with a 5 inch inseam. Any color but black. The crazier the pattern the better!! 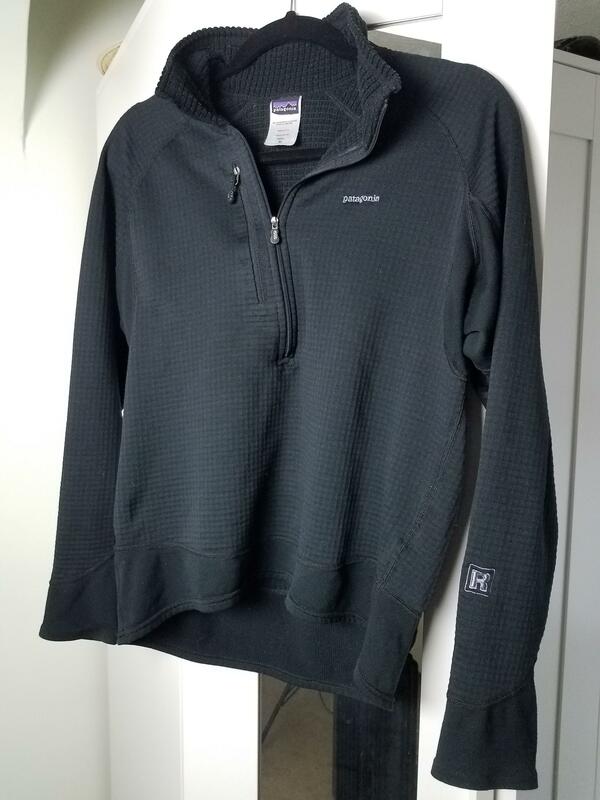 Selling F/S Organic, Patagonia and More! Patagonia Women's Medium Venga Pants (NWOT), $35 shipped. Patagonia Men's Large Torrent Shell Pants - $50 shipped. 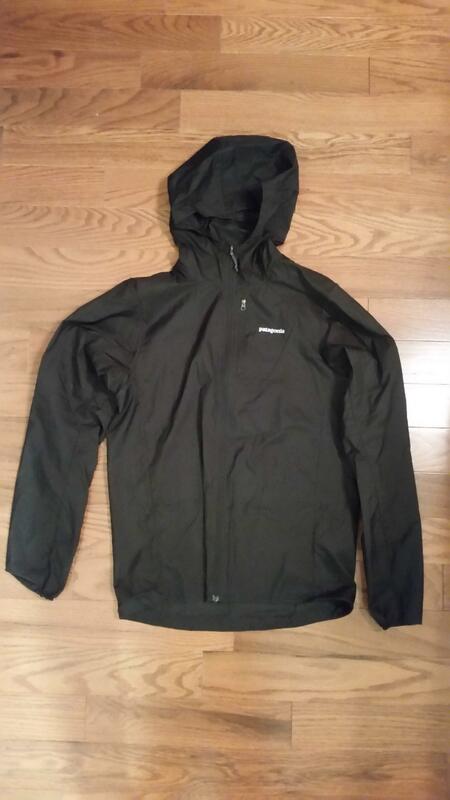 Permalink: F/S Organic, Patagonia and More! Three pairs of Patagonia shorts in very good condition. 5 Men’s base layer shirts that are too big for me. All are size XL and are in really good shape, no snags or issues. The light blue long sleeve Merino wool base layer has some wear and pilling. Two blue short sleeve and one long sleeve black performance base layers which I think were called Capilene silk weight. The last one is a fleece style with ribbed sides (slim fit). All 5 shirts for $69 shipped. Taken on a couple climbing trips but great condition. Just like a lot of other people, I wish Pata hadnt discontinued these and would love to pick up a pair in good condition! Looking for a R1 Full Zip Hooded in reasonable condition. Doesn't have to be like new. Any color. I am not based in the US but willing to pay shipping. Unfortunately links to US shops won't help much. Let me know if you have one you want to get rid of. Thank you very much. Has kind of a polar tech/ brush fleece mesh lining, soft but not insulated. Wicks misture pretty well.A little to tight on me so I got more comfortable pants. Other then that I love em. Kinda hard to let em go. 2018 Patagonia Houdini. Men's size small. Color is black. 3.6 ounces. I bought this last year thinking it would be perfect for trail running but I've discovered I'm one of those people who cannot stand not having hand pockets. The jacket was worn a handful of times (maybe 5). It's in excellent condition - no damage or wear whatsoever. Both are a black Men’s Small. Originally paid $99 for the Houdini and $249 for the Storm Racer. As the subject line says, I have three different used Patagonia shirts that I’d love to sell. I’ve been trying to trim the fat off My wardrobe, so I’m asking $25 for the plaid shirt (size SM), and $15 per polo (size Med.). Support this over-worked and underpaid public high school teacher, and buy all three for $45–What a bargain! I accept Venmo. 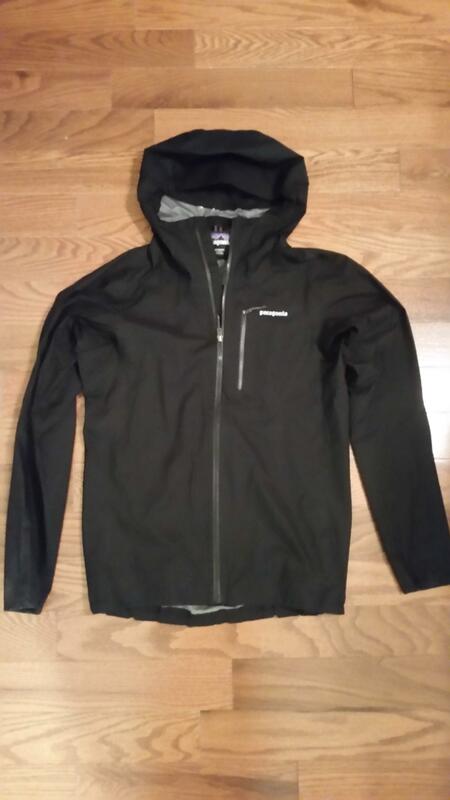 Selling a 2014 Patagonia men's nano puff, size medium. Has seen moderate use but it's been washed regularly with Nikwax products and the fabric is in good shape. The only blemishes are a grease stain (garage door grease) on the neck, and a partially broken zipper pull on the stuff sack zipper (both pictured below).Asking for $80 shipped, Venmo or PayPal ff. Gently used, black. No holes or odors. Almost brand new - worn 4 really cold nights in town, once belayed in (but never climbed in). Has a belay zipper, two internal pockets (one with zipper), comes with stuff sack, helmet compatible - super warm jacket for cold days at the crag/ice climbing or just in town. Fits me perfectly to layer another puffy or several mid layers, I am 5'10" 160. Got it from an "irregular rack" at Patagonia - Therefore it is nonreturnable. It has a slight bit of fading color on the lower back side of the jacket that resulted in it being irregular, function is perfect. Worn once.Extremely warm, one internal zipper pocket, great casual jacket or warm mid-layer. Quite literally brand new, my girlfriend got it from a friend only to find out arms are too short for her. She is normally a xs/s and is 5'7" 118lbs. Warmest jacket for weight ever, extremely lightweight and packable, blah blah this jacket doesn't need much of an explanation. Used 20 days on resort and back country, just a bit too loose/wide on my girlfriend (5'7" 118lbs). Great on resort or touring pants, in really good shape - no stains, tears, rips, or any sign of wearing out. Incredibly breathable, waterproof, and mobile, made with OR "Pertex Shield" fabric. Looking to buy a nanopuff jacket for my fiance. Size XS ideally. Small might work if no XS come along. Colors don't matter although she doesn't love pink (if they make it). Hood or no hood either way. As long as there's some life left in it.